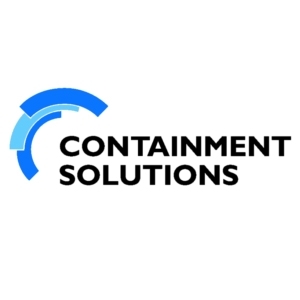 From gasoline stations to airports to municipal buildings, petroleum tanks from Containment Solutions provide unsurpassed storage and handling of hazardous and non-hazardous, flammable and combustible fluids including Ethanol. 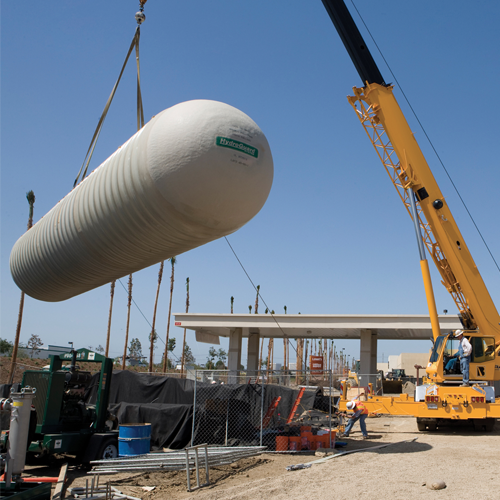 A fuel storage tank should ideally be the epitome of safety and this is precisely what we try to achieve through our petroleum tank offering. We invest a lot of time and attention in each product that we make because we understand that our reputation rides on the safety of our customers. 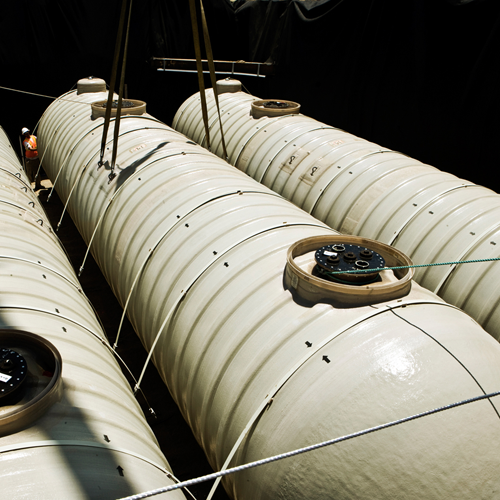 CSI manufactures the finest quality petroleum storage tanks for underground systems. 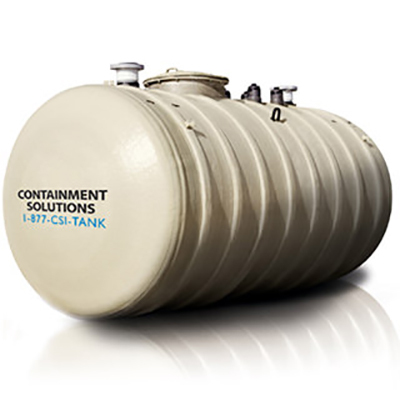 Our double-wall fiberglass tanks are inherently non-corrosive, safely storing standard petroleum fluids, biofuels and biodiesels, ethanol and ethanol blends, ultra low sulfur diesel (ULSD), even Diesel Exhaust Fluid (DEF). 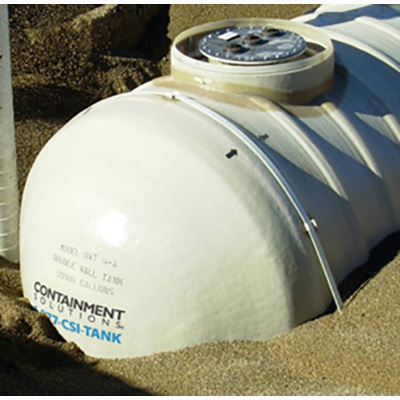 Unlike underground steel tanks, CSI’s petroleum storage tanks are backed by an industry best 30-year corrosion limited warranty. Long-term corrosion and material properties testing is done at our Research and Development Center (R&D). Laminate testing includes current fuels, blends and other oxygenates, but we do not stop there. 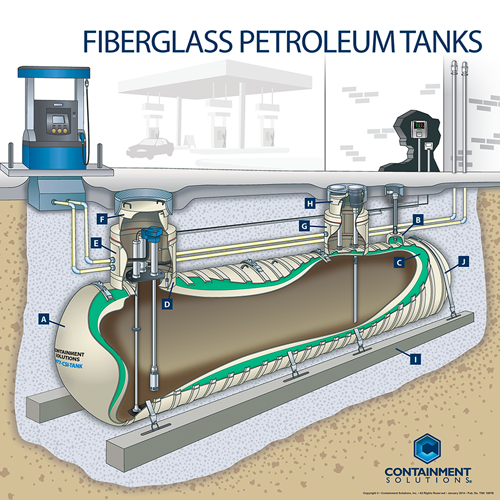 We also test alternative products and blends that could be stored in our tanks in the future; as fuel options change, your petroleum storage tank compatibility will not. Many of the newest industry fuels and biofuels are alcohol based. Alcohol blends, including ethanol, increase the likelihood of water in a storage tank, resulting in rust and microbial-induced corrosion (MIC) in steel tanks. The inherent non-corrosive nature of a fiberglass CSI double-wall tank eliminates the possibility of rust on all tank wall surfaces. Ask us about Above Ground Storage!